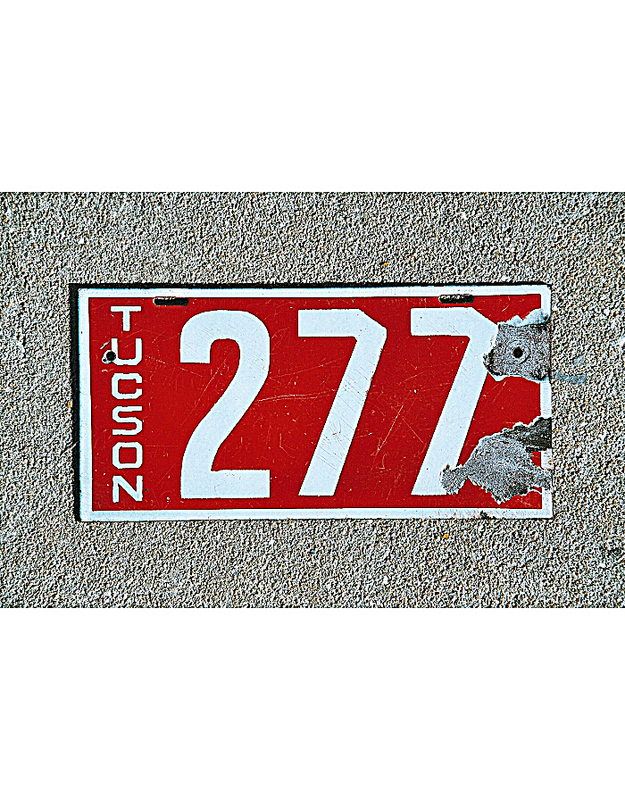 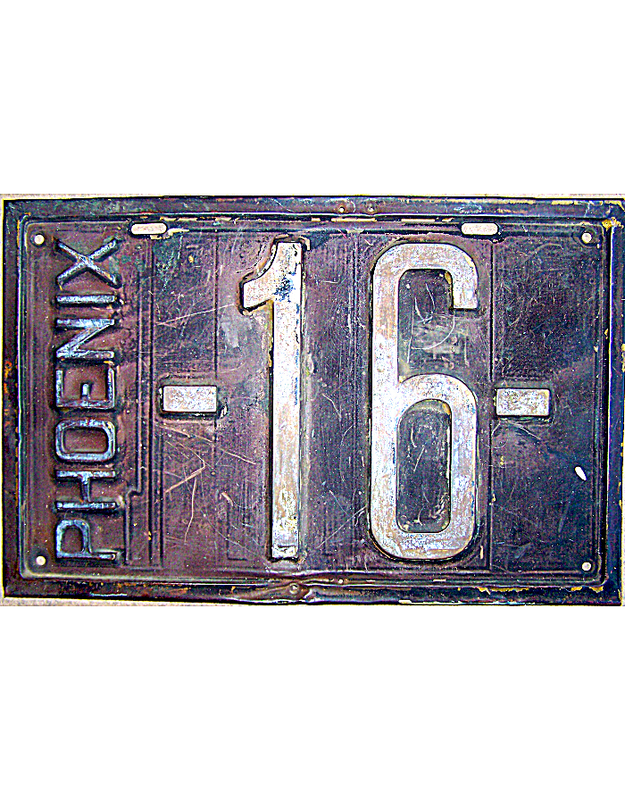 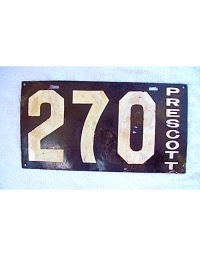 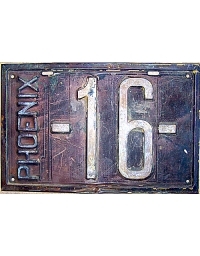 Arizona issued its first official regulation license plate in 1914. 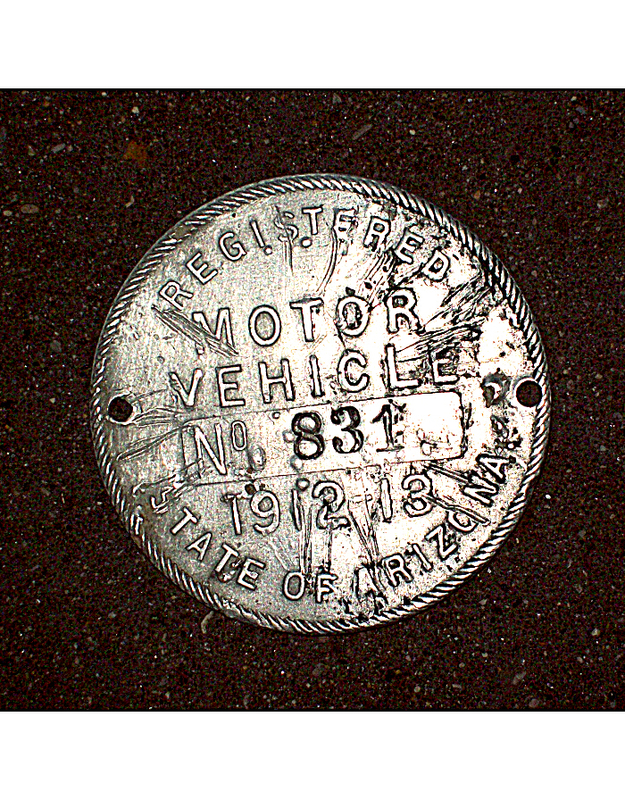 For 1912 and 1913, the newly-admitted State of Arizona required motorists to license autos with the state government and for motorists to provide their own pre-state license plates. 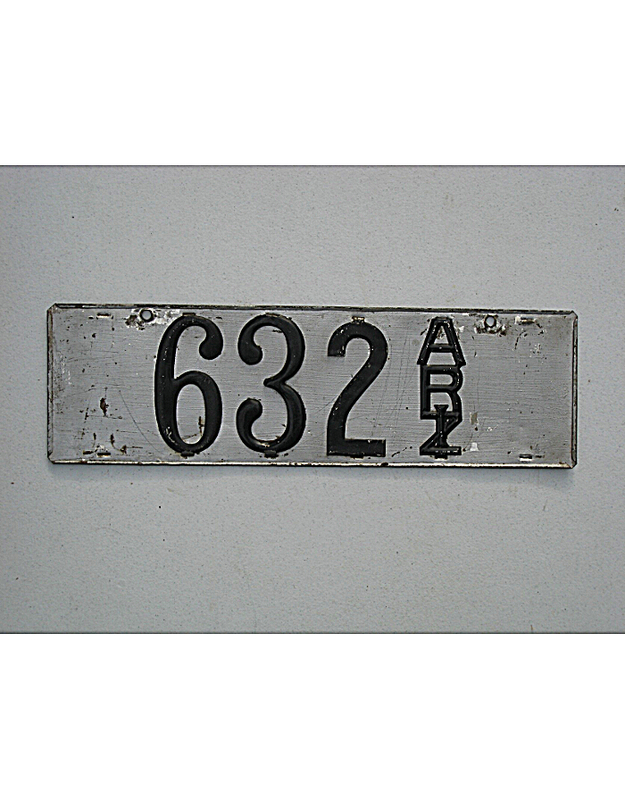 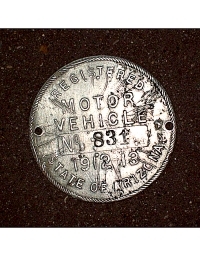 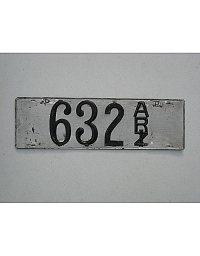 The state issued a circular aluminum “dashboard disc” to be tacked to the wooden firewall of the auto, and the license plate number on the car had to match the serial number on this disc. 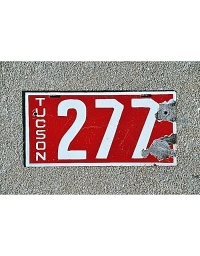 The license plate also had to include the state initials ARIZ or ARZ.